Last fall, Sean Morrisey sent the above email to Salish Lodge's romance concierge Dr. Pepper Schwartz looking for some help in planning the perfect proposal to his girlfriend Jennifer Jones. 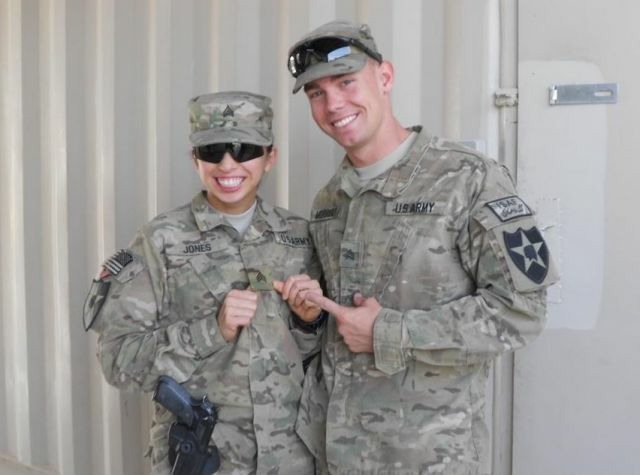 The couple had met while stationed at Fort Lewis and began dating before both of them were sent on assignment to Afghanistan, though not to the same camp. "After deployment and being separated for some time, I just knew I wanted to spend the rest of my life with her," Morrisey told me in an email. And not only was Schwartz completely on board (well, obviously), but she and the Salish staff were so touched by the solider's story that they offered to host the entire romantic weekend for free. Over the course of three months, despite shaky Internet connections and a drastic time difference, Morrisey and Schwartz planned a three-day getaway with an itinerary that included luxe spa sessions, elaborate meals, wine tasting in Woodinville, and a stunning suite overlooking Snoqualmie Falls—all while keeping Jones completely in the dark. Once the two were safely back stateside in January they took off on the dreamy staycation. During a morning walk to the top of the falls Morrisey had Salish staff position a basket containing a dalmatian puppy on the trail for Jones to find. 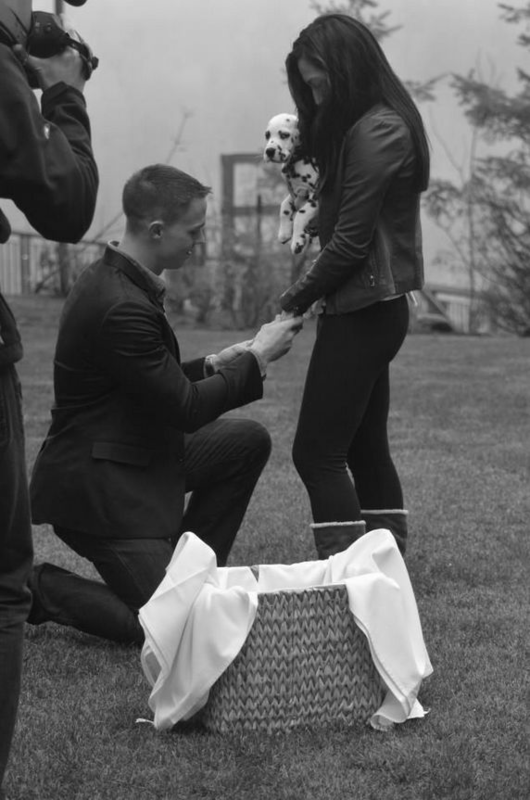 The precious pooch provided just the right distraction for Morrisey to pull out the ring, get down on one knee, and propose. The happy couple has set a September date for their wedding and are looking at Austin venues to be close to their Texas-based families. As for that adorable puppy? "We named him Sangiovese (Sangio for short) after our favorite wine at JM Cellars in Woodinville, which we visited that weekend on Dr. Schwartz's recommendation," said Jones. Got a proposal story we should hear? Email editor Laura Cassidy at lcassidy@sagacitymedia.com.